Scientists from the Moscow Institute of Physics and Technology (MIPT) have developed prototypes of “electronic synapses” based on ultra-thin films of hafnium oxide (HfO2). These prototypes have the potential for use in futuristic computing systems. The Nanoscale Research Letters journal has published a paper on this study. The researchers made HfO2-based memristors measuring only 40 x 40 nm2. The nanostructures developed by them display properties that are similar to biological synapses. The memristors were incorporated in matrices using the new technology. In the future, it may be possible to use this new technology to design computers that work just like the biological neural networks. Memristors (resistors with memory) are devices capable of changing their conductivity state based on the charge flowing through them, and have a memory of their own history. In this work, the scientists used devices based on thin-film hafnium oxide, which is a material that has already been used in the development of modern processors. This highlights the fact that this novel lab technology, if required, can be conveniently used in industrial processes. In a simpler version, memristors are promising binary non-volatile memory cells, in which information is written by switching the electric resistance – from high to low and back again. What we are trying to demonstrate are much more complex functions of memristors – that they behave similar to biological synapses. A synapse is a connection point between neurons, and its chief function is to transfer a signal from one neuron to another. It is possible for every single neuron to have thousands of synapses (join with an increasing number of other neurons). This points out that information can be processed in parallel instead of being sequentially processed as is seen in modern computers. This is the key reason why living neural networks are valuable both in terms of energy consumption and speed in solving a wide variety of tasks, such as voice/image recognition. The weight of synapses can be changed over time, i.e. their ability of sending a signal. This feature is considered to play a vital role in understanding the memory and learning function of the brain. It is possible to interpret “learning” in the brain and synaptic “memory,” from a physical point of view, which highlights that the neural connection comprises a specific “conductivity”, which is established based on the earlier history of the signals that have been transmitted through the connection. If a synapse sends a signal from one neuron to another, then the conductivity is considered to be high, if it does not it is considered low. Synapses do not always work in on/off mode; they can also comprise any intermediate weight, i.e. intermediate conductivity value. If they need to be simulated using specific devices, then these devices will have to possess analogous characteristics. Based on a biological synapse, the electrical conductivity’s value of a memristor is the outcome of its earlier life right from the moment it was developed. A number of physical effects can be utilized to design memristors. In this study, the authors made use of equipment based on ultrathin-film hafnium oxide, which has the potential to display the effect of soft (reversible) electrical breakdown under an applied external electric field. Two different states encoding logic zero and are often used by these devices. It was essential to use a continuous spectrum of conductivities in the devices to simulate biological synapses. The detailed physical mechanism behind the function of the memristors in question is still debated. However, the qualitative model is as follows: in the metal–ultrathin oxide–metal structure, charged point defects, such as vacancies of oxygen atoms, are formed and move around in the oxide layer when exposed to an electric field. It is these defects that are responsible for the reversible change in the conductivity of the oxide layer. The “analog” memristors were used by the authors to design different learning mechanisms (“plasticity”) of biological synapses. This specifically included functions like long-term depression (LTD) or long-term potentiation (LTP) of a link between two neurons. Generally, these functions are considered to be the underlying mechanisms of the brain’s memory. The authors have also succeeded in illustrating an extremely complex mechanism known as pike-timing-dependent plasticity, which refers to the dependence of the value of the connection between neurons on the corresponding time taken up for them to be activated. Previously, it has been demonstrated that this complex mechanism is accountable for associative learning, which refers to the brain’s ability to detect connections between varied events. The authors illustrated this function in the memristor devices by using an electric signal that has the potential to reproduce the signals in living neurons. They also showed a dependency very much like those identified in living synapses. Based on the results, the authors established the fact that the elements created by them can be used as a prototype of the electronic synapse, which can function as the foundation for the hardware execution of artificial neural networks. We have created a baseline matrix of nanoscale memristors demonstrating the properties of biological synapses. 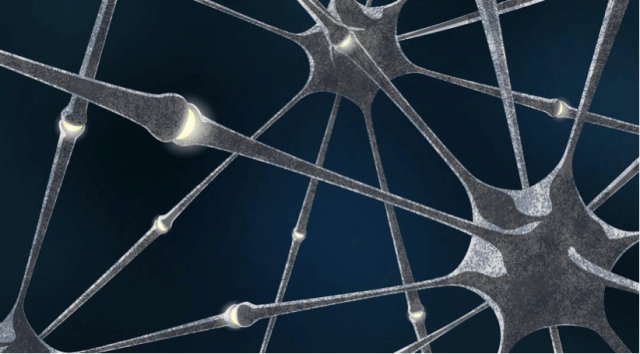 Thanks to this research, we are now one step closer to building an artificial neural network. It may only be the very simplest of networks, but it is nevertheless a hardware prototype. The general theory of first, second, third order memristor, etc (first order memristors is the genuine memristor discovered by professor Leon O. Chua in 1971) is now completed (along with any order meminductor, memcapacitor) and published in an article I wrote with him, in International Journal of Bifurcation and Chaos (IJBC) Issue September 2014. The Old Ohm’s law is generalized and fitted to those memory elements. The MEMFRACTOR is the generalized device encompassing NON PURE memristor, memindictor, memfractor.